Bodywork services employ techniques that may be different from traditional massage, but incorporate similar principles to move through restrictions in the body to promote healing. Cupping therapy has been around for thousands of years and still remains one of the most effective bodywork treatments available today. 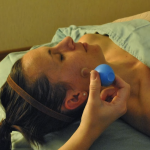 Employing negative pressure versus tissue compression, get superior results from the ancient technique of cupping therapy. Cupping may be used gently in place of massage to release the fascia, or it may be used intensely for specific therapeutic goals in specific places. Therapists can achieve results much more quickly through cupping therapy than with traditional compression, and can quite often alleviate chronic, long-term pain quite rapidly, sometimes even in just a few sessions. Cupping & Bodywork sessions are more intense as they are cupping-focused with our Certified Cupping Therapists. 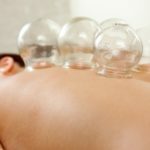 Your Certified Cupping Therapist will employ other types of bodywork during your session, including acupressure, myofascial release, and energy balancing techniques. Cupping and Bodywork sessions are great for work with targeted areas – for a full body relaxation experience, massage therapy is the better option. Massage & Cupping appointments are available with any of our licensed massage therapists to get targeted deep tissue work during your massage. Relaxing and enjoyable, with visible results after just one session – even better for your skin than a facial from an esthetician. Facial cupping eliminates the build up for wastes and fluids from the face and neck, improves skin tone and softens wrinkles. It feels like a spa treatment and has excellent health benefits!